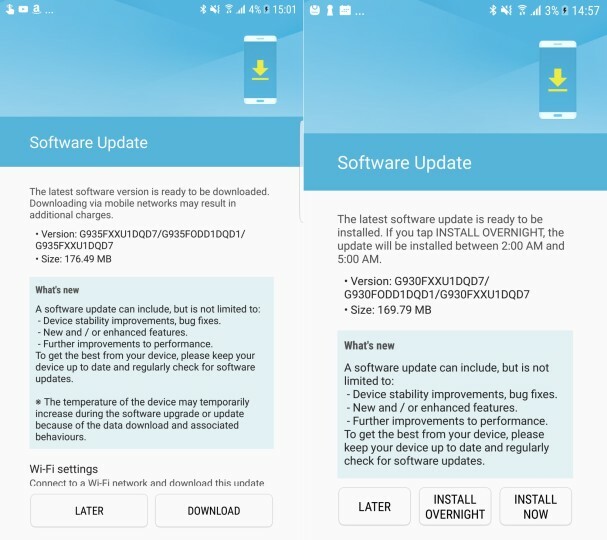 Samsung has started pushing out a new update to Galaxy S7/S7 edge and Galaxy Note5 in India. 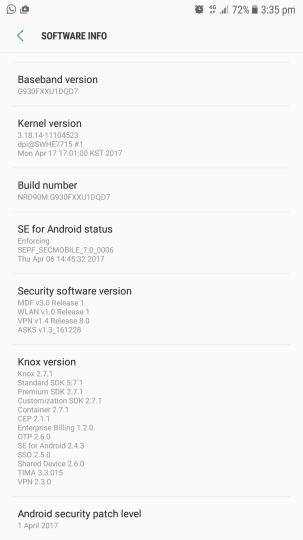 Weighing in at 169.79MB and 176.49MB for the S7 duo and just 14MB for the Note5, it’s a security update that brings Android fixes for April 2017. There’s no official confirmation on what other changes (if any) the update brings along, although some improvements and bug-fixes are said to be included. As is usually the case with OTA roll outs, it may take sometime for the update to hit your device.